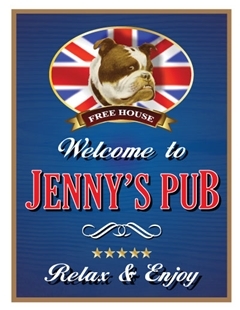 SP-00258 - Personalised Jolly Roger pub sign with a choice of colours and sizes. 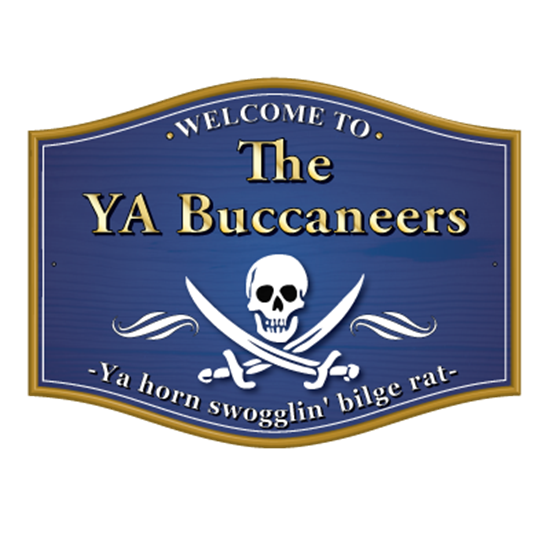 The sign is printed in the style of a traditional barrel shaped pub sign with Jolly Roger pirate skull and swords with Ya horn swogglin' bilge rat. Personalised Pub Bar Sign with British ball dog.